Vote for CCSEM and Share! 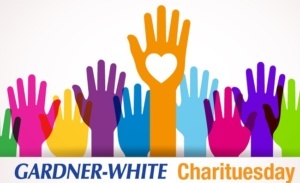 Thanks to Gardner White Furniture’s Charituesday program, Catholic Charities of Southeast Michigan (CCSEM) has a chance to win a donation of $1,000! The rest depends on you! From March 27 at 10 am through April 3 you can vote for CCSEM once a day. Also, please share on your social media pages with everyone you know! Voters are choosing between CCSEM and Gilda’s Club, a support group for cancer patients, so we need all your help! If we are blessed enough to win, we will use the $1,000 to create a more welcoming environment at our Southfield office for the foster families we serve.